Hey guys. I’m happy to be guest posting today! 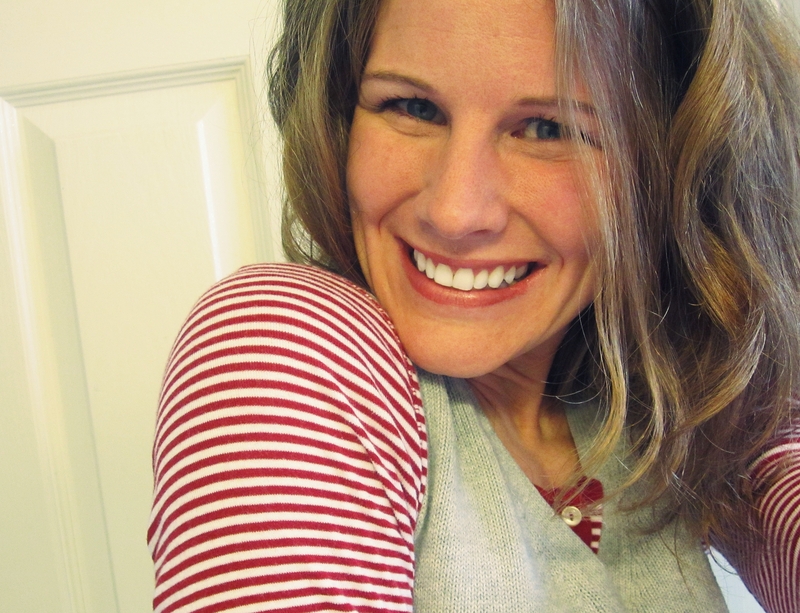 I’m Brittney from A Day in the Life Too…, and I’m a mom of three young kids (ages 2, 4, & 6) AND a style blogger… and, yes, in case you’re wondering, peanut-butter-shoulder IS the new black. Or should be. Now that we’ve established I’m no overachiever but, darn it all, I’m honest, let’s begin. 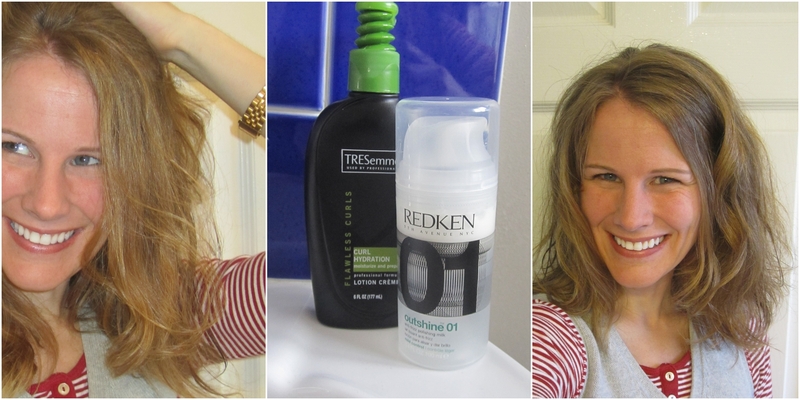 Tip 1: Embrace the beachy-wave-au-natural hair love of today. Most days, I get out of the shower, put some curl and anti-frizz product in my hair, and then do whatever else I need to for the next half hour. Then, and only then, do I blow dry the rest of my hair and, as needed/time permits, I may touch up about 3-4 strands with a curling iron. Viola. Hair. Done in under 5 minutes of effort. Tip 3: Have a piece of versatile jewelry that you can throw on without thinking about it. For me, it’s my large golden boyfriend watch. If you check my blog, you’ll see I wear it at least 4-5 times a week. Because it’s easy and brainless (and the brain cells left over in my head are clinging on for dear life, so I don’t like to stress them out too much), but it’s still chunky enough to make a statement. 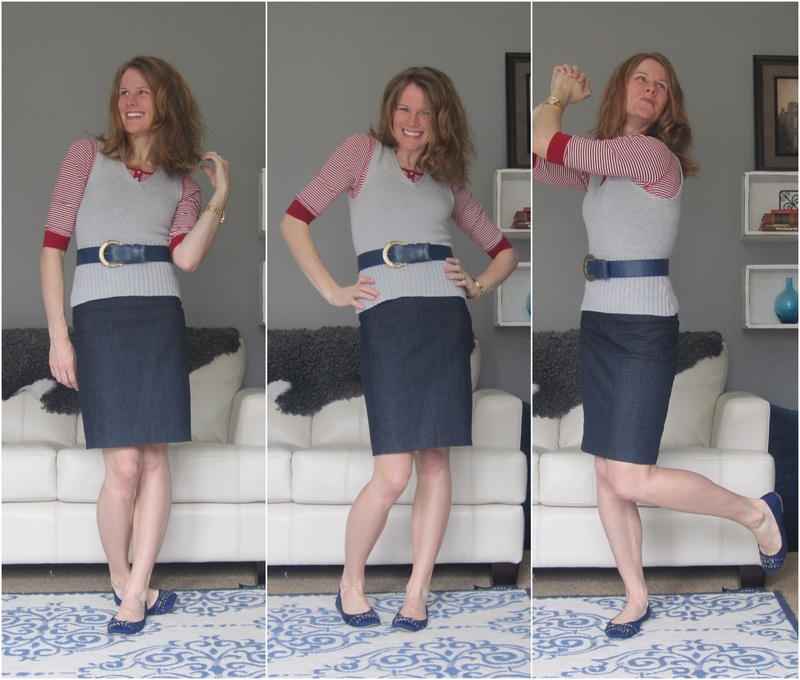 Tip 4: Belt it up, buttercup! 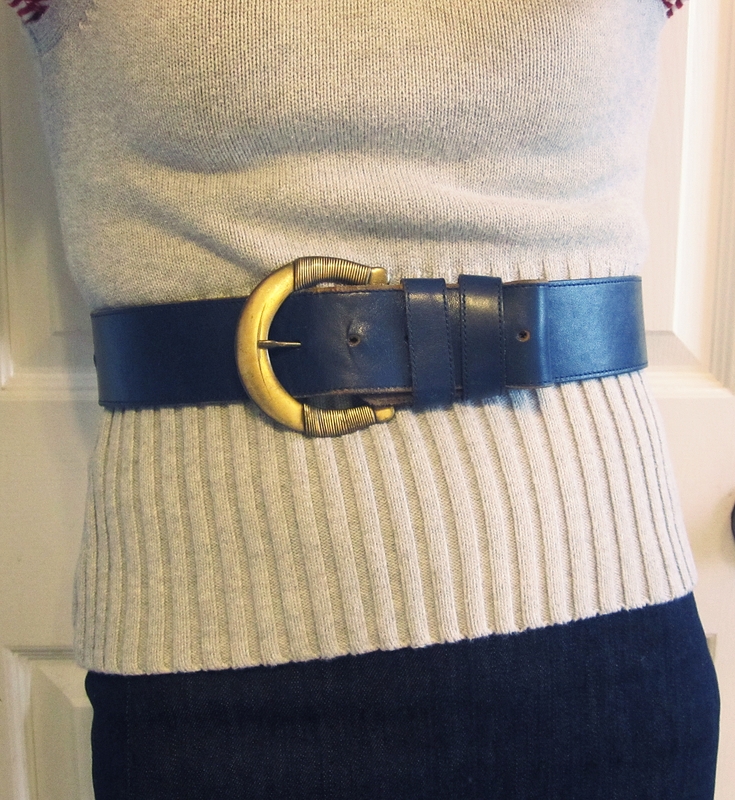 Even when you don’t think you need it, a belt is almost always useful for an overall ensemble. It adds structure, definition, and visual interest. Tip 5: Even if you’re a neutral kinda gal, adding just one pop of color goes a long way to making you look polished and fun. And, by jove, who doesn’t want to be the “fun” mom on the block? Or, at least, fool everyone into thinking you’re fun even when you’re sleep-deprived and ornery because, look, she’s got on a yellow plaid scarf or a red striped shirt. Thanks again, Danie, for having me! 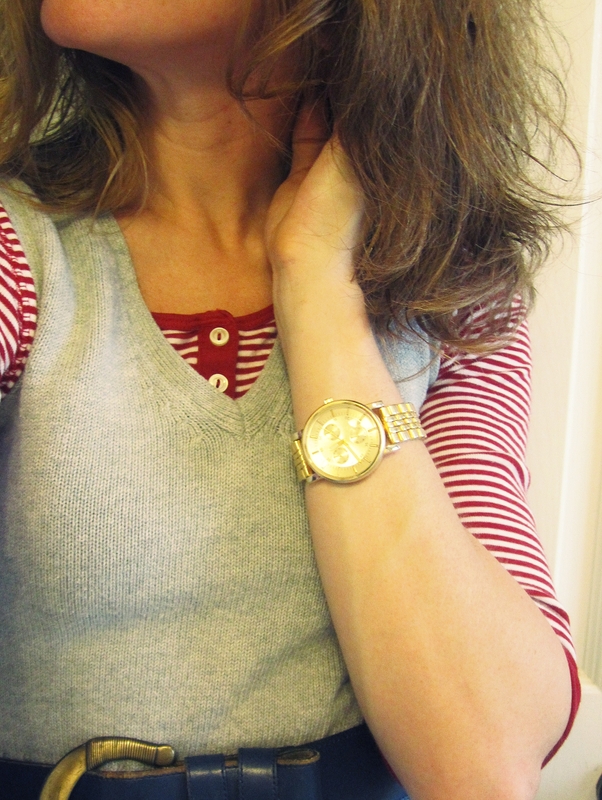 This entry was posted in Advice, Guest Posts by noguiltfashion. Bookmark the permalink.